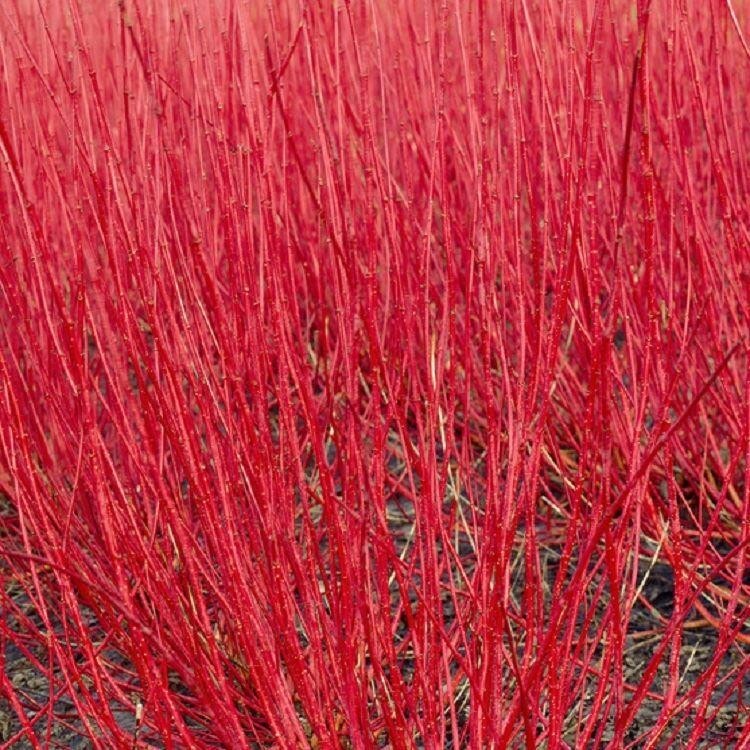 Cornus alba sibirica, or red barked dog wood as it is better known, it is a garden stalwart for many people, and essential for providing a shot of bright structural colour in winter. 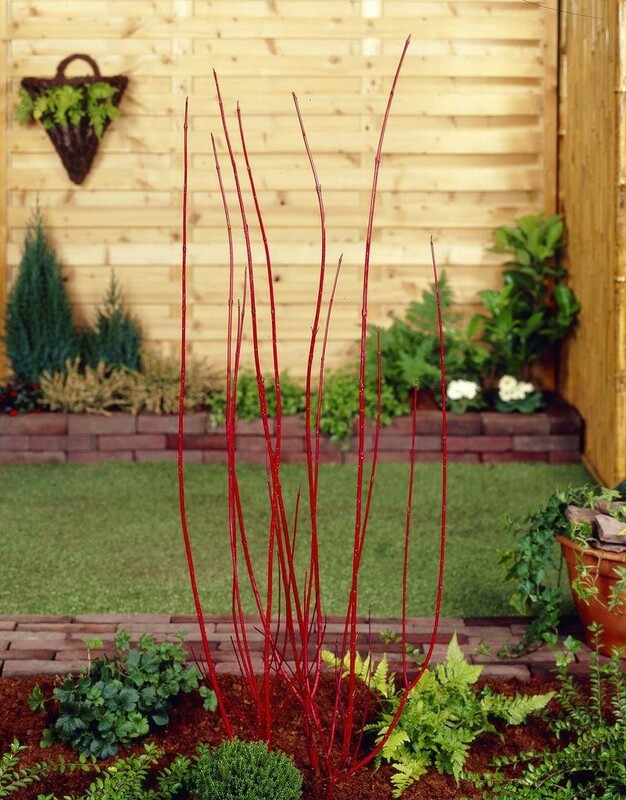 These are great value for money, and provide a long lasting display when little else can inject vibrancy to the garden. 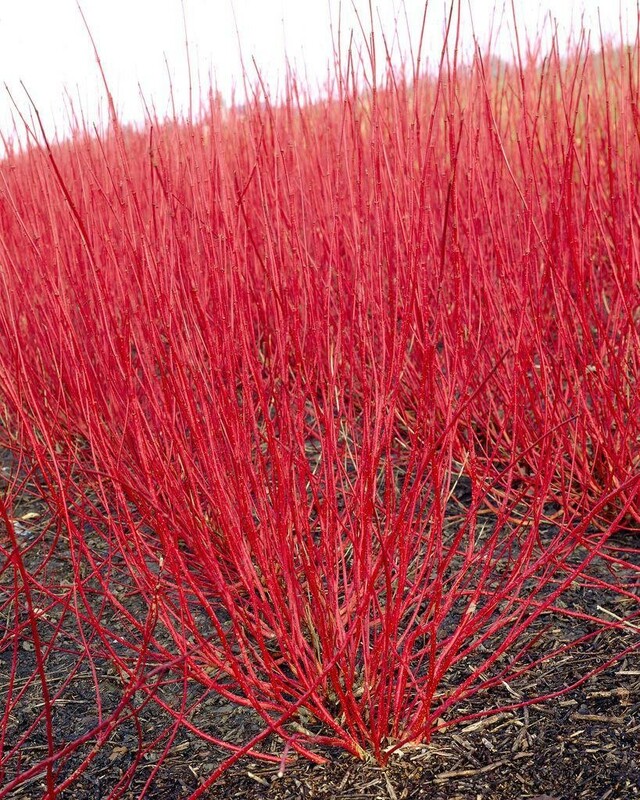 Plant them for a mass of stunning red stems all winter. If you need something to add a shot of bright colour in the colder darker months then these are a very good choice, looking good what ever the weather, they actually appear even brighter against a blanket of snow. In spring, fresh-green foliage erupts over the to cover stems and provide a good structural mix with other plants in the garden. These are great plants, supplied in approx 3 litre containers. Perfect for planting out in the garden or for displaying in seasonal planters. Why not try underplanted with some spring bulbs?